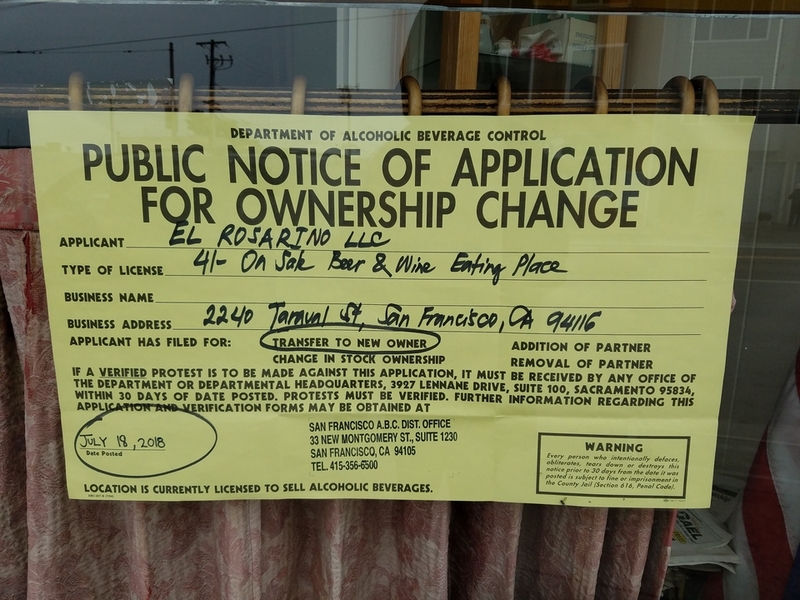 In this edition, a Parkside Irish restaurant has been sold to new owners, a former comedy club appears to be transforming into a wine tasting room and a new boba tea spot has arrived in the Mission. 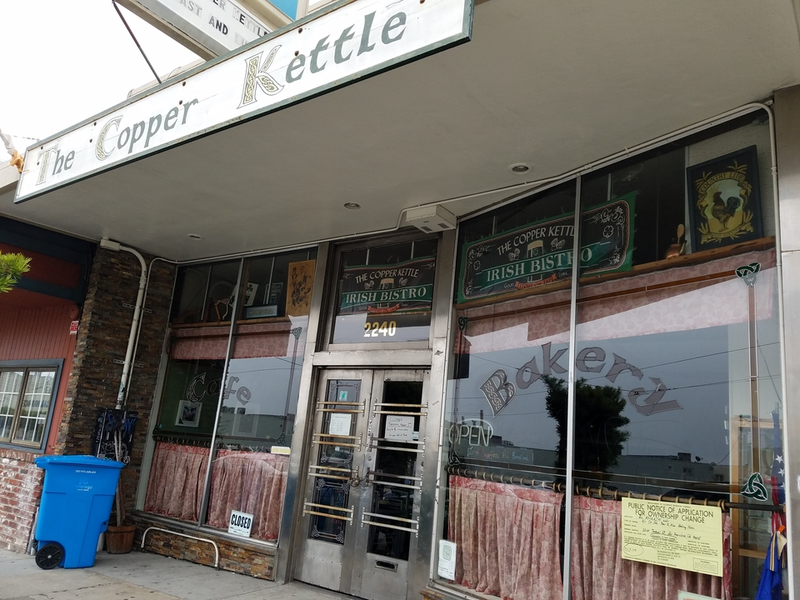 Hoodline editor Fiona Lee spotted some new developments at the Copper Kettle Irish Cafe & Bakery space in Parkside this week. According to the restaurant's Facebook page, the business has been sold and will close in September after 15 years in operation. A new restaurant called Chalos is slated to take its place sometime later this fall. "To all my patrons who have frequented my little store, I thank you from the bottom of my heart," a message from the owner reads. "I will miss you all." The note hints, however, that Copper Kettle may be popping up at farmer's markets and local shops. "I will be branding my soups, curry, breads, scones, etc.," the message continues. "I will still be open until the start of September on a smaller scale; please drop by and say hello." Not much information is available on the restaurant's replacement, Chalos, as of yet. However, public records reveal that the new restaurant has been approved for a Type 41 liquor license, which allows for the sale of beer or wine at an eating establishment. 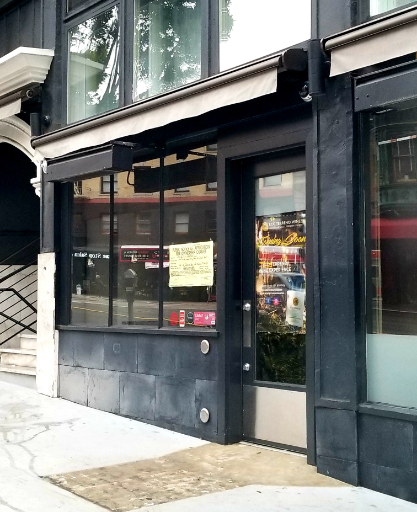 There's a new taker for the space once occupied by comedy club and music venue Doc's Lab in North Beach, the Chronicle has reported. According to public records, Mark Lyon of Sonoma's Eco Terreno Wines has been approved for a Type 47 liquor license, which allows for the sale of beer, wine and spirits at a dining establishment. Additionally, it appears that the space will be transformed into a "winery tasting room with estate-grown food pairings," the Chron reports. One of the few remaining comedy venues in San Francisco, Doc's Lab and its companion restaurant Doc Ricketts closed this past February without much word. The space also operated as the Purple Onion for nearly six decades before throwing in the towel in 2012. There's no word as of yet on whether the new wine tasting room and restaurant will feature comedy or live music. Veteran Hoodline tipster Al M. reports from the Mission that a new spot, called Identitea, has opened up shop between Folsom and Shotwell streets. So far, the new spot is only serving boba and tea drinks, said Al, but plans are in the works to include poke bowls in the coming weeks. Identitea is open daily noon-10 p.m.